Hi lovelies! Welcome back to another coffee shop guide! I'm hoping to do these every so often, at least whenever I visit a coffee shop that just wowed me, so hopefully they can help you next time you're looking for an amazing coffeehouse! 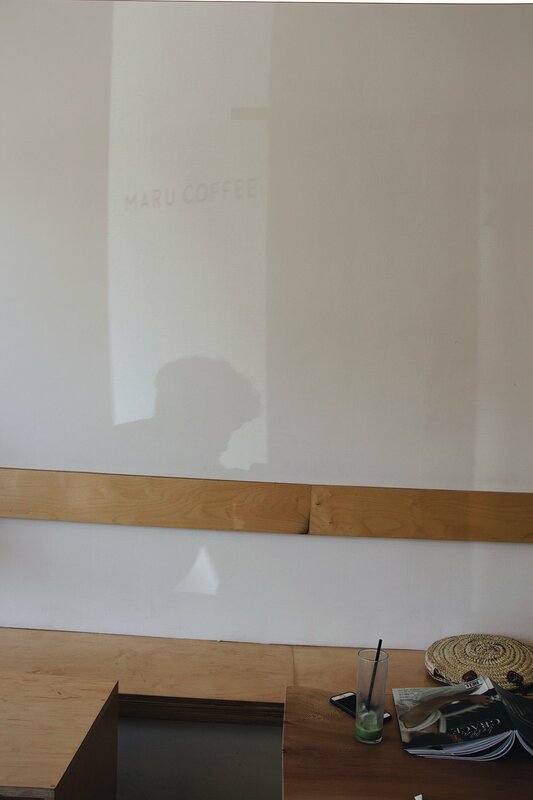 This past Sunday, I got the chance to visit Maru Coffee, and let me tell you, I'm very happy I did! 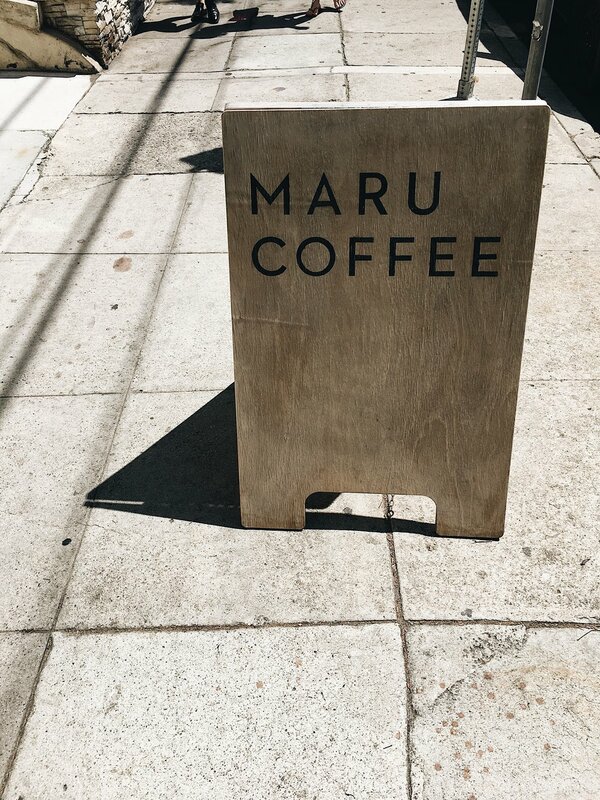 Located in Los Feliz and next to some pretty popular restaurants such as Jeni's Splendid Ice Creams & Farfalla, Maru Coffee is pretty hard to miss. It wasn't too busy when I arrived (probably got there around 2/3 PM), so it was nice to be able to enjoy the peace and quite of the place. When I walked in, I was welcomed by a beautiful, minimally decorated shop. 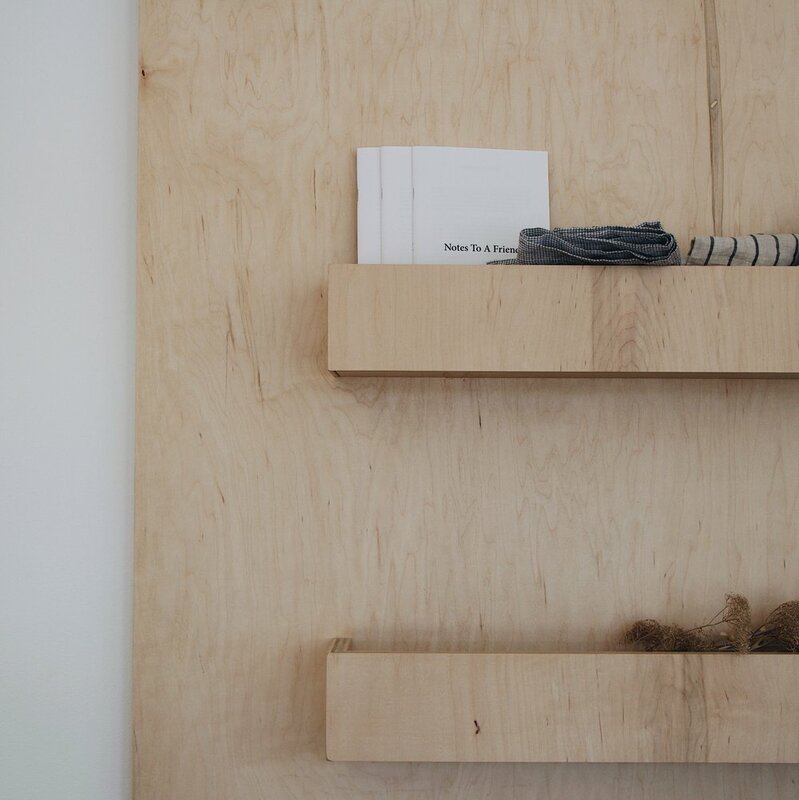 Their walls were bare except for a couple were shelved with some intricately made ceramics. 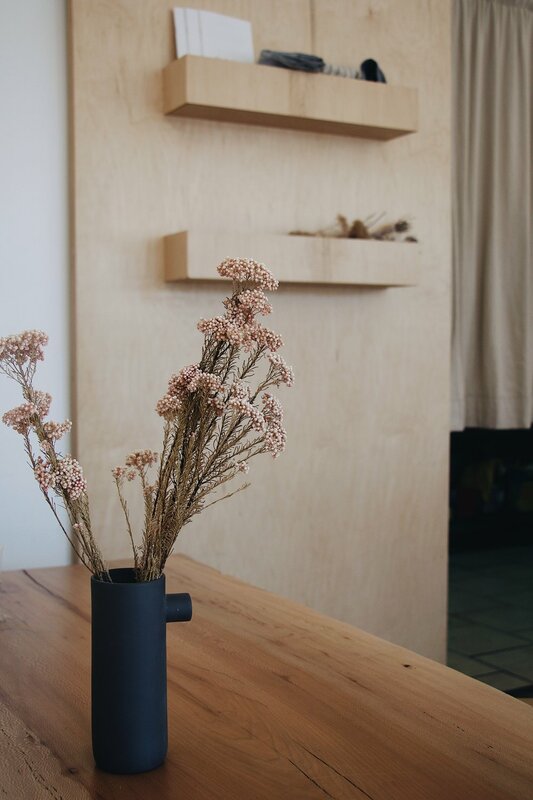 Another detail I loved about this coffee shop was how much natural light came in! 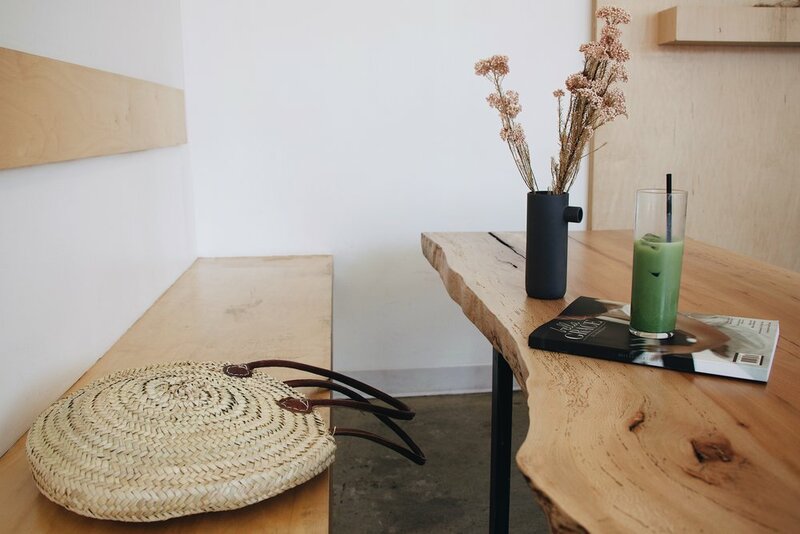 While I still enjoy the darker, more intimate coffee shops, I definitely prefer coffee shops with an airy and open feel to them. Upon browsing their menu, I noticed that they offer homemade biscuits and jam every Saturday & Sunday! Unfortunately I did not get the chance to order any (I'm currently doing the elimination diet -- so no gluten for 20 days), but next time I stop by, I will definitely be ordering one since they looked realll good. I ended up ordering myself an iced matcha with almond milk. 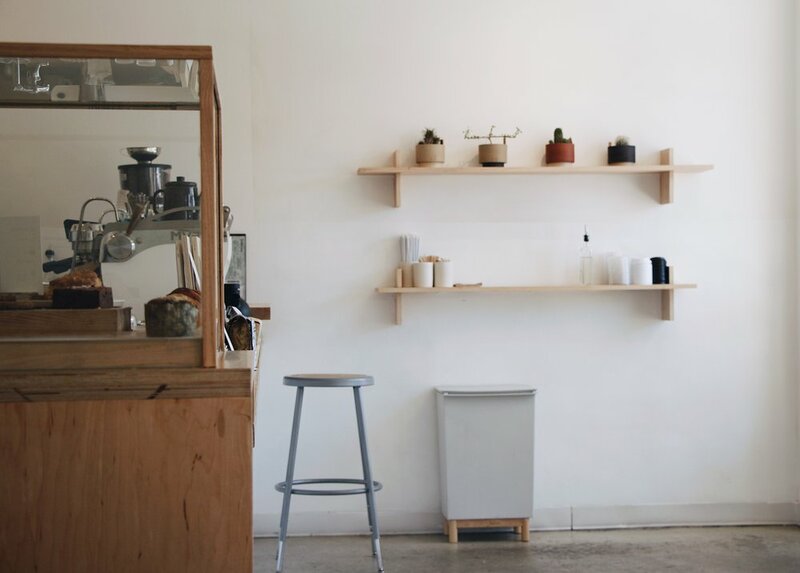 If you read my last blog post on Prospect Coffee Roasters, you know that I am a stickler for details. Well when my matcha came, it came in a nice tall glass, as you can see below. And, this matcha was quite possibly the best matcha I've ever had - no clumps and very smooth! If you've ever gotten a matcha latte from Starbucks, then you are familiar with their clumpy/not well blended version. 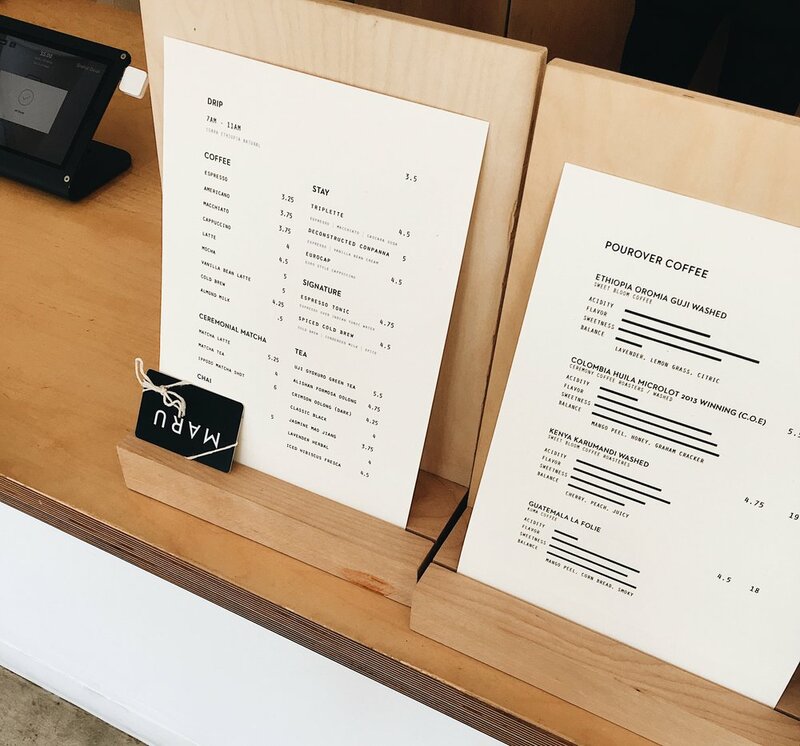 While I am not too familiar with pour-over coffee yet, I liked how next to their menu, they had a guide to their pour-overs, noting the acidity, flavor, sweetness, and balance of each kind so that their customers have a better idea of what they are ordering will taste like.